"When Elevita purchased the first order of my items I used the money paying some of my expenses. First quarter of 2012 I decided to pursue my dream, a dream to have my own house. This is my dream house. 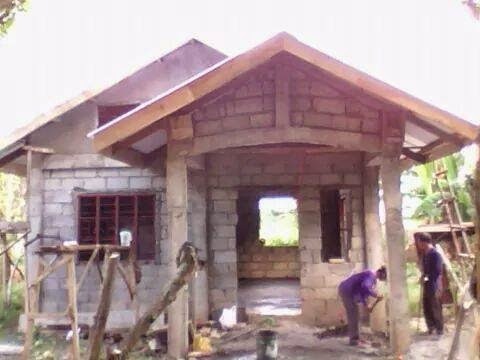 It's not yet fully constructed but I'm praying and hoping that next Christmas I will be celebrating in my own house thru the help of Elevita and those who buy my items. I'm proud and thankful to say that. Thank you. God bless you. I really appreciate your help and support." Rosalie has created a fantastic beaded flower vase that is perfect as a centerpiece, a gift, or even as a grave decoration. Visit www.Elevita.com to purchase her impressive items! Elevita feels privileged to play a role in Rosalie's success.